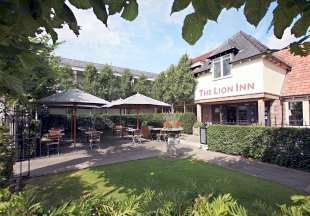 Formerly a traditional inn, the Lion has been transformed and now has a definite continental feel, with its open plan bar and restaurant. Many of the stylish bedrooms have balconies or direct access to the garden. AA 4 Star Inn. This popular local restaurant with rooms, built in the 1800’s, is full of character with wooden floors and hand-made furniture. The inn serves the freshest of seafood as well as classic pub dishes. Situated in one of the prettiest market towns in Essex, this stunning building dates back to the 15th century and still boasts a wealth of original features. All 18 bedrooms have the usual modern facilities and yet the rooms still manage to retain the flavour of the original building. The food offering certainly isn't 15th century with The White Hart Hotel offering restaurant, bar and terrace menus. Free WiFi. Welcome to the The Rose and Crown, originally a 14th century coaching inn, located within walking distance of Colchester town centre. Choose from either the historic oak beamed rooms located in the original house or the more contemporary rooms in the new wing. 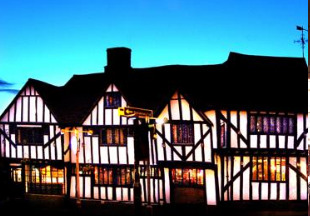 Eat in the hotel restaurant or in the more informalTudor Bar and Brasserie with its real log fires. This 16th century former coaching inn simply oozes charm and character with its ancient beams, exposed brickwork, open fires and inglenook fireplace. 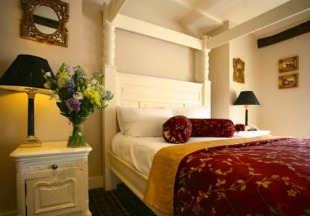 The cosy inn offers five stylish guest bedrooms with all modern comforts. The historic Pheasant Inn enjoys lovely countryside views and boasts a fine restaurant with welcoming log fire in the winter. 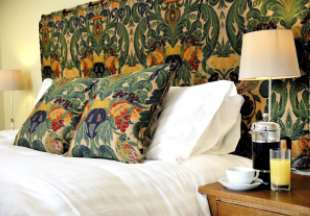 Guests stay at Pheasant's Coach House where the five en-suite rooms are all named after local historic figures. AA pub of the year 2014/15. The 16th century gastro pub and inn The Flitch of Bacon has gained an excellent reputation for its fine food. 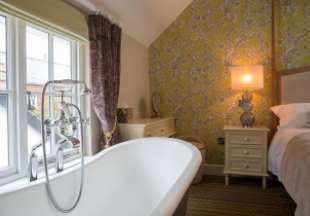 The inn also boasts boutique bedrooms, bar and courtyard garden. Welcome to the 16th century Bull at Great Totham, just 10 minutes’ drive from Maldon. Dine in either the gastro pub or in the fine dining restaurant. AA 4 Star Restaurant with Rooms. AA 2 Rosettes for food. 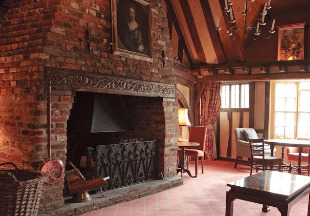 The White Hart is a beautiful 15th century inn full of character with traditional wooden beams and open fireplaces. Situated in the attractive Essex village of Great Yeldham on the banks of the River Colne, The White Hart offers great award winning food in a relaxed and historic atmosphere: the restaurant has been awarded 2 AA Rosettes for the last 3 years. The rooms are located away from the main building, offering a quiet and secluded area in which to enjoy your stay. AA 5 Star Inn. 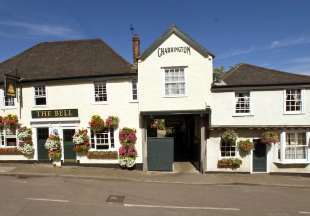 The 15th century Bell Inn is situated in the historic village of Horndon on the Hill. This friendly hostelry retains many original features and the stylish rooms are sympathetically designed to reflect the age of building whilst offering all modern comforts. 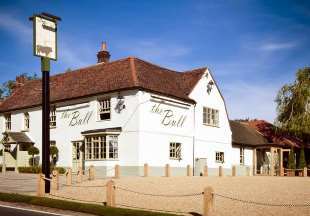 This 14th century former coaching inn is set in a quiet village location just a short drive from Stansted Airport. 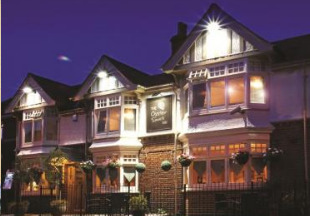 The Chef & Brewer Restaurant offers fine food and drink 7 days a week. 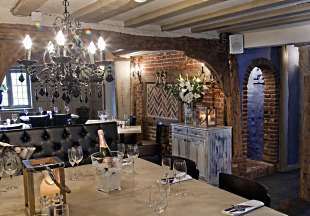 The traditional bar and restaurant still boast many original 14th century features. All the bedrooms are situated in an annexe to the rear of the main building and are furnished in a modern contemporary style. 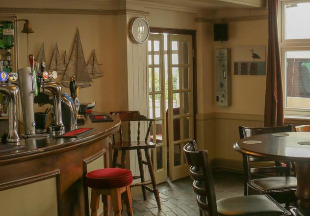 Located at the heart of the pretty village of Thorpe-le-Soken, the Rose and Crown offers newly refurbished en-suite rooms, bar lounge with log fire in winter, restaurant and garden patio. The Victory at Mersea is situated right on the waterfront with fantastic views over the Blackwater. We have three superior waterfront rooms, all with sea views, along with four newly built garden rooms. In addition, whether you choose to dine in our restaurant, bar or garden, good food is at the heart of what we do. We use the finest local ingredients to create the best in casual dining. Our hotels and inns in Essex are the perfect choice for a short break. Essex is the oldest county in England and is home to Roman Colchester with its huge Norman castle. Discover the county's 350 miles of stunning coastline and the lively resorts of Clacton-on-Sea and Southend-on-Sea. If you prefer something a little quieter, there's genteel Frinton-on-Sea with its colourful beach huts. The Essex countryside is dotted with historic market towns and sleepy villages - and lovely old pubs and inns! So if you are on an early (or late) flight from Stansted Airport, don't stay in one of the chain airport hotels. Travel just a few more miles and find a comfortable country inn, a friendly welcome, great food and drink. The Flitch of Bacon at Little Dunmow is a little over 10 minutes drive from the airport while the Green Man is just 12 miles away. 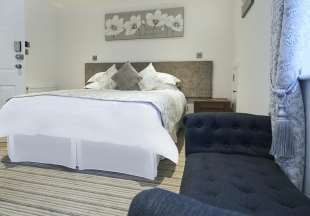 What better way to start or end your overseas holiday than at a cosy Essex inn! "The yachting centre of Burnham-on-Crouch is known as the 'Cowes of the East Coast'. This part of Essex is famous for its seafood, especially oysters. Try the fresh seafood at the aptly namedOyster Smack Inn, just a short stroll from the riverside." Essex is bordered by Suffolk, Cambridgeshire, Hertfordshire, Kent and London. 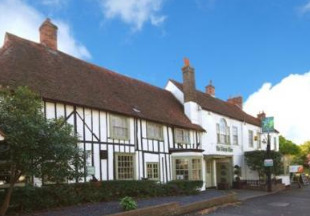 If you want to widen your search, why not browse through our selection of hotels and inns in Suffolk, Cambridgeshire, Hertfordshire, Kent and inns in London.